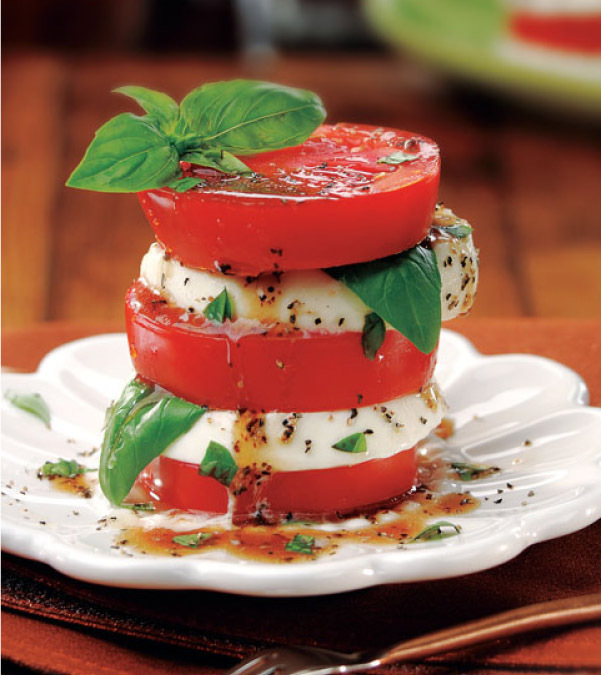 1.Slice tomatoes and mozzarella into equal size thickness. 2.On 2 salad plates, alternately stack tomato and cheese slices. 3.Liberally sprinkle chopped basil on top and drizzle each with 1-1/2 tablespoons vinaigrette in and around tomato-cheese stacks. Season with salt and pepper to taste.